The professionals at Tepper & Eyster are committed to helping your business make the most of its investment in intellectual property. We combine unique legal experience with a focus on your business objectives and competitive environment. This approach allows us to provide counsel that will enable your business to select the most appropriate protection for its critical assets. 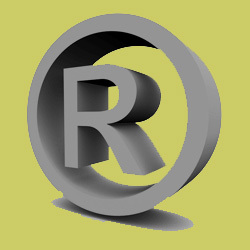 We specialize in all aspects related to the creation, clearance, registration, maintenance and enforcement of trademarks. We assist clients in trademark transactions ranging from licensing to product divestments. We provide strategic counsel in the enforcement of trademark rights and resolution of intellectual property disputes. We help clients navigate the selection, registration and enforcement of domain names. We assist clients in protecting their creative works through copyright, as well as in developing copyright compliance strategies to enable their business to run effectively and legally. We have extensive experience in the pharmaceutical industry, and we bring a unique understanding of the regulatory environment, as well as the prescribing and dispensing environment, to the development and clearance of trademarks. We are committed to assisting our clients not only in developing strong brands that will meet regulatory requirements, but also in helping to further the dialog with regulatory agencies, patient safety organizations and other stakeholders to bring more predictability and reliability to the trademark review process. At all times, we strive to deliver maximum value by understanding not just intellectual property law, but how to employ it to most effectively meet your company’s business objectives.